The advisor is also available for walk in visits between 8:00AM-12:00PM and 1:30PM-4:00PM Monday through Thursday and 8:00AM-12:00PM on Friday. Note keep in mind that the courthouse (and thus the small claims advisor is closed on government holidays). 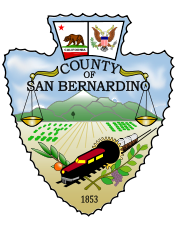 The advisor also travels to the branch courts in Victorville, Rancho Cucamonga, and Fontana. The advisor is located in the basement. Located on the second floor, next to department F9. Note: In order to get the best possible help and answers for your questions, we strongly recommend bringing all paperwork regarding the case that you have with you when you speak to the small claims advisor. This information is current as of March 2012.